You want good decoration on your birthday party? You can use Flowers, put them on the table, combine them with pink napkins, like in this picture, or use it as decoration on birthdays. There are many kinds of flowers, so one of the best are tulips, they are looking very well and you’ve got a big selection of colors. Put them next to your napkins and here you are, perfect decoration. 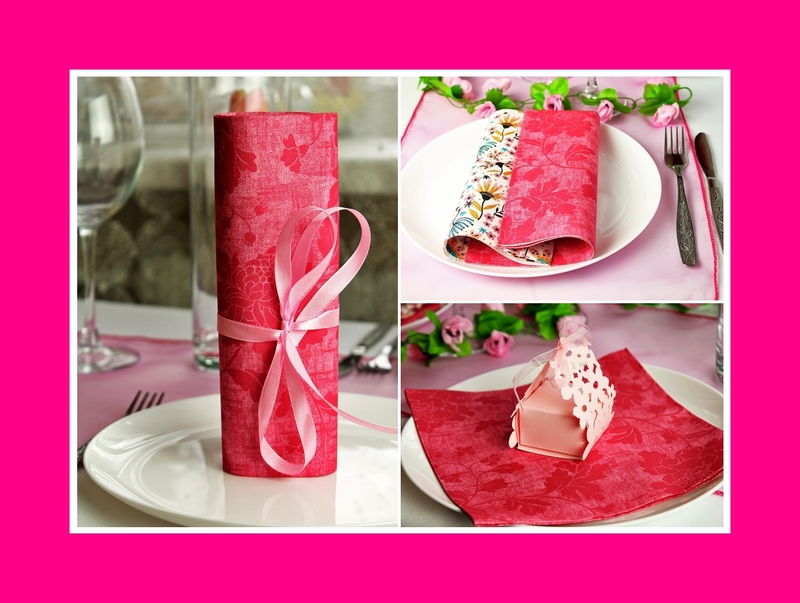 Pink napkins looks very nice and you can add some decoration to them. 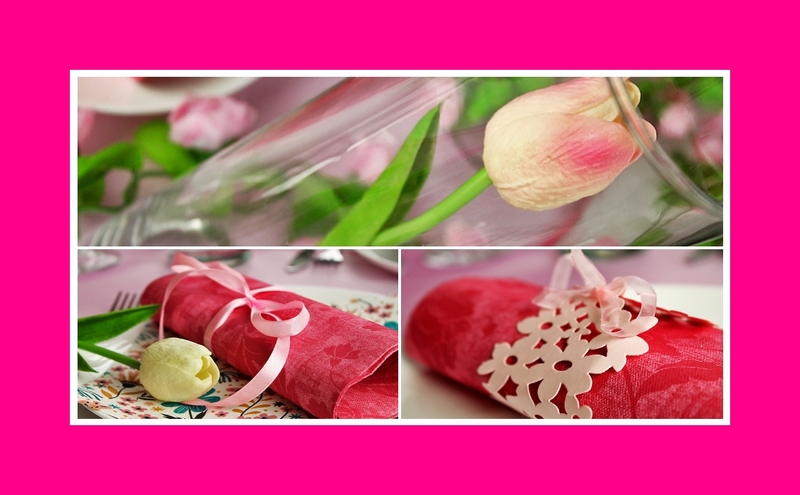 Bind for exapmle a ribbon around the napkin and you’ve got perfect pink napkins with decoration. To get the best atmosphere you need a color mix. White and pink are exactly these two colors which you can mix. 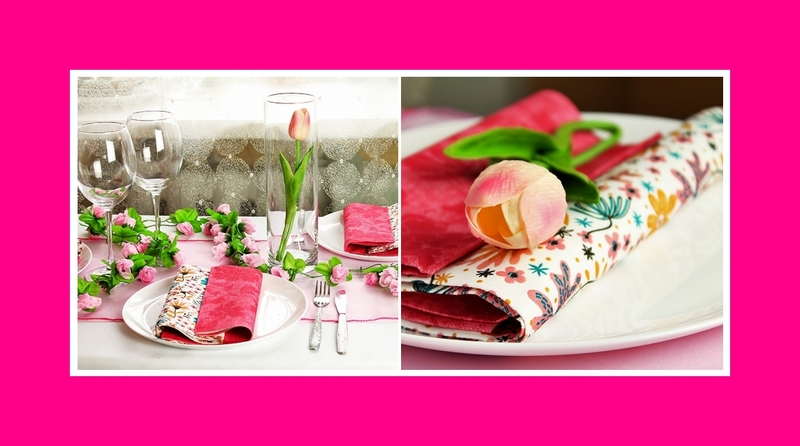 So put some white tulips next to the pink folded napkins and you will get a nice look of both colors.